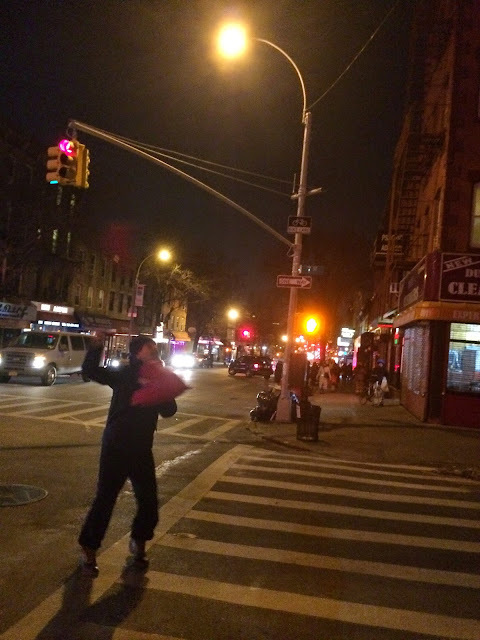 Photo from Park Slope Stoop via Carryboo. 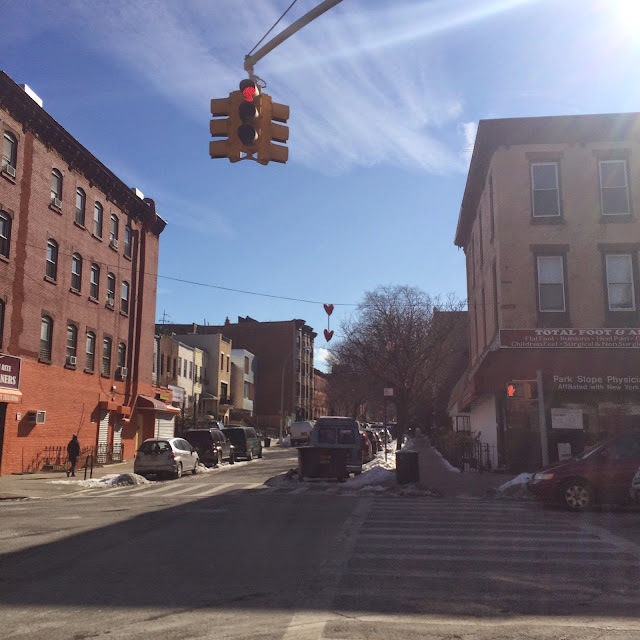 I don't know how long those two big, red hearts had been dangling from up there on the mystery wire above 5th Avenue in Park Slope, or why someone put those hearts there. But they were a happy fixture on our street from the day we moved into our apartment in June 2012 until they were ripped down during a storm in October 2014. That was...heartbreaking! 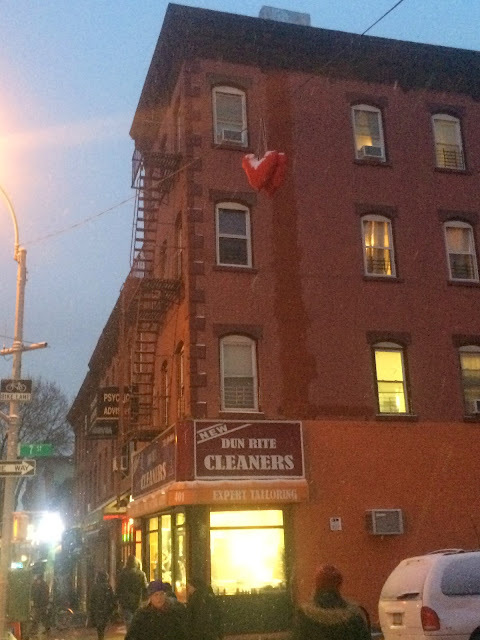 Those floating hearts were like a little wink. You might miss them if you didn't know they were there, but when you saw they caught your eye, you smiled. 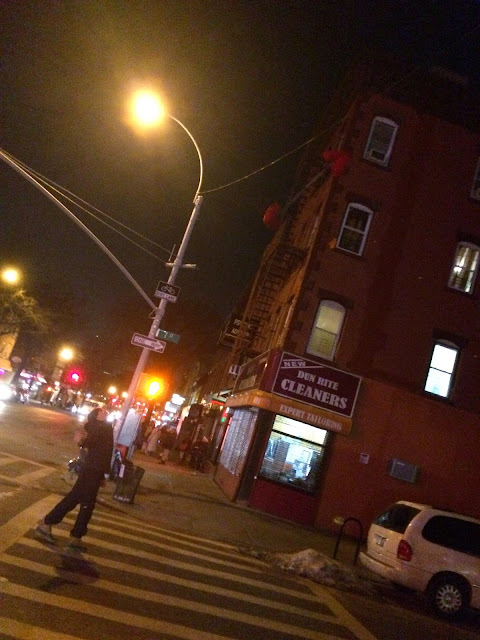 I liked how they played off something I think of as a New York tradition since I've never seen it anywhere else: shoes on a wire. 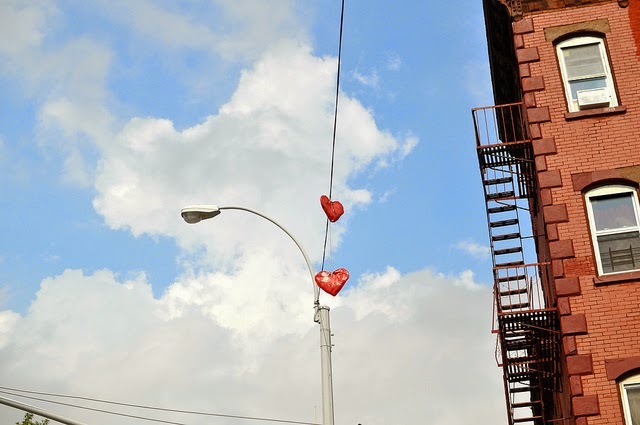 Right after the hearts came down a year and a half ago, I thought about replacing them, but I didn't get my act together until the eve of Valentine's Day this year. Love would be in the air again! Armed with some red nylon that was sitting around, webbing, batting and my sewing machine, I got to work. 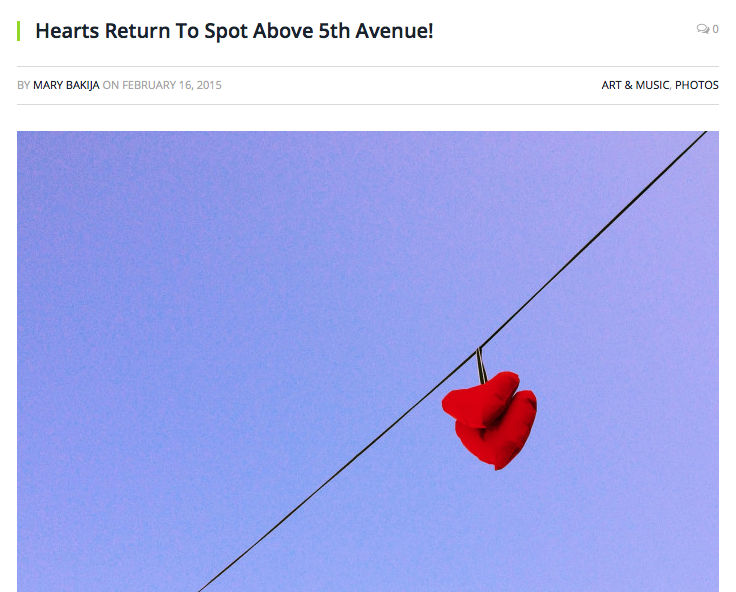 I sort of wish we had seen the post on Park Slope Stoop that said that the 5th Avenue BID would happily install the hearts if they were found, but we wouldn't have wondered if we were doing something possibly illegal. And that would have been no fun at all, right? 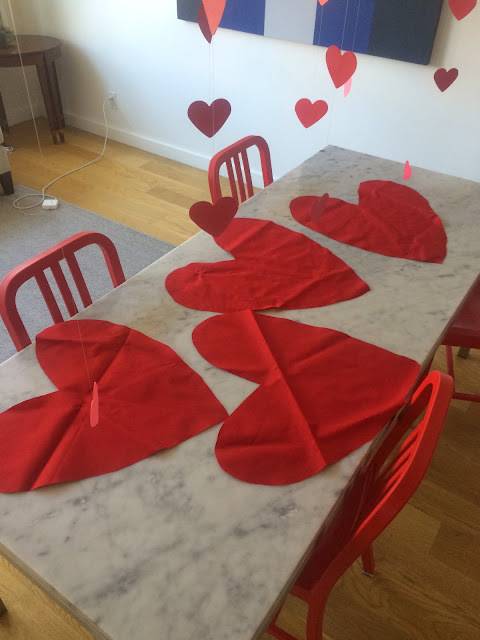 After the hearts were sewn, we went out and put them where they belong! 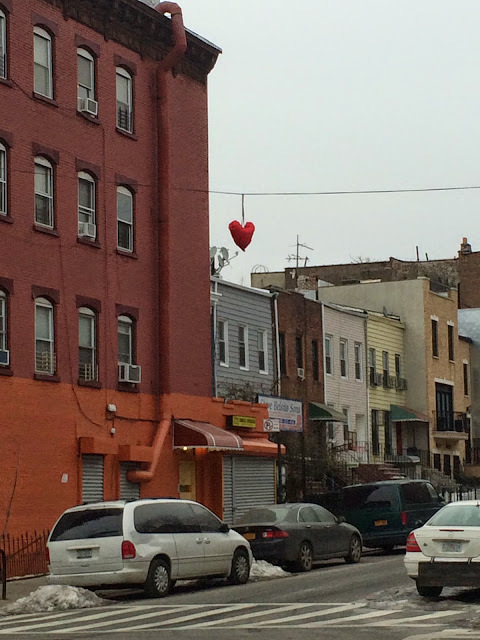 On a random wire over the street! 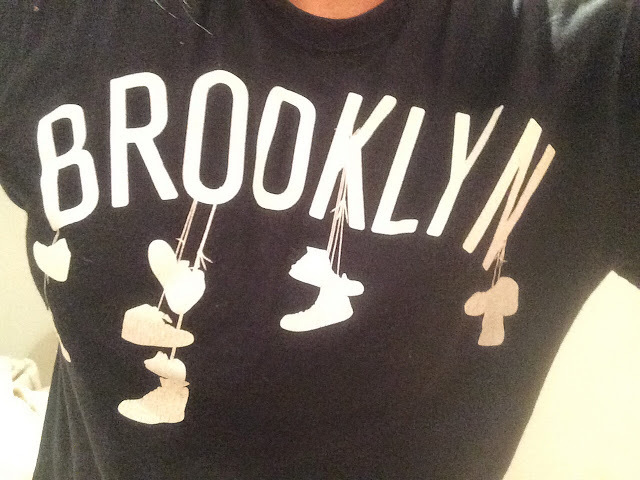 And Brooklyn rejoiced! 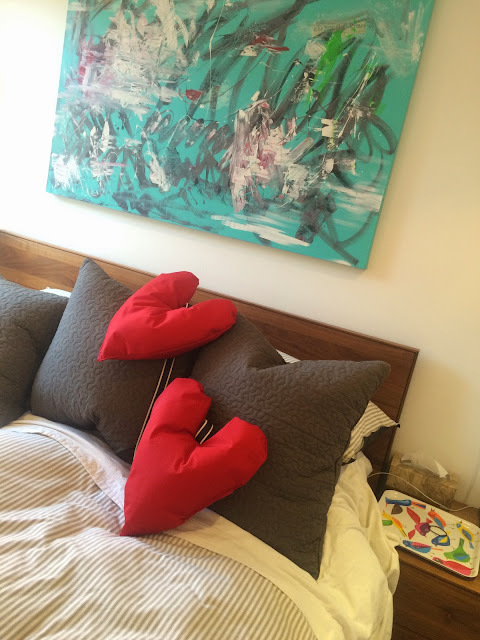 Check out the below photos for some really bad love and heart puns. Winding up. Love is a battlefield.